Complexity science and the proper role of government and markets. I read this article and found it very interesting, thought it might be something for you. 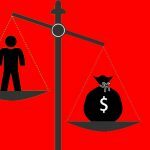 The article is called How to Be Pro-Market and Pro-Government and is located at http://evonomics.com/promarket-progovernment-laissez-faire/. People who believe in the free market are generally much closer to a complexity frame than are those who primarily put their faith in governmental planning and control. In fact complexity may well often be loosely equated with pure laissez-faire, but complexity includes government, seeing it not as planner or controller, but as a natural partner with existing institutions in a search for useful parameters of action. We have called this joint search an “activist laissez-faire” policy. While, the terms, activist laissez-faire and laissez-faire, may look similar in the standard policy frame, they are quite different in terms of how one envisions the role of government. Hence we need to distinguish our complexity frame from the free market frame as espoused by supporters of unadulterated laissez-faire policy. This ode has been reprinted on pro-market websites and we believe it nicely illustrates the fundamentalist market supporters’ view of the market. It essentially makes the point that production is too complex to be done by top-down control, and that instead, production is best guided by the invisible hand of the market. Pro-market supporters claim that this biography shows how preferable the market is to government control. Our version is an update of the original ode, and was told to us by one of I, Pencil’s American descendants – one of today’s pencils (see the bottom of the post). In an afterword to I, Pencil’s original genealogy on the Library of Economics and Liberty’s website Donald Boudreaux distinguished two types of thinking: simplistic and subtle. Boudreaux is a market fundamentalist supporter, who believes that the more you leave the market alone, the better things are. He argued that simplistic thinkers did not understand how a complex and useful social order could arise from any source other than conscious planning by a purposeful mind, such as a government. He saw I, Pencil as a subtle thinker and writes, “Subtle thinkers, in contrast, understand that individual actions often occur within settings that encourage individuals to coordinate their actions with one another independent of any overarching plan.” He argues that the subtle mind recognizes “that attempts to improve or to mimic these orders are doomed to fail.” He follows the standard policy narrative that sees government and market as exclusive, with any government meta-policy action merely attempting to mimic what the market could have done better. As our updated genealogy story shows, Boudreaux’s division of people into two camps, those who think that the government can control everything, and those who think that government control is to be avoided, is highly problematic. This market fundamentalist frame is a different frame than the complexity frame we use. Both rely on bottom-up evolution, but they see government’s role differently. The two frameworks envision government’s role differently and they mirror the problematic polarization of policy views in standard economics. This polarity between the market and the government is far too simplistic for the complexity frame where government and the market have coevolved. The central policy issue in the complexity frame is how to integrate government into the market in the most productive way. This isn’t a question that theory or models can handle, at least not yet. The complexity policy frame is not new; we’ve just lost sight of it as we became engrossed in the standard policy frame with its government/market polarity. To see this, it is helpful to reflect on F. Hayek and J. M. Keynes, two famous economists who were also brilliant statesmen. They were both well aware of the complexity frame, and in our view differed far less in their policy vision than is often portrayed. Their differences over policy involved judgments upon which reasonable people can disagree. They did not involve scientific or ideological differences. Their policy views evolved over time, but they both remained true to certain precepts. Keynes was more adaptive; he generally supported an active bottom-up policy—an economy should have as little direct government control as possible, but it needed some guidance at times. He also believed that bottom-up solutions took a long time, and that sometimes, such as during the Great Depression, government would have to implement top-down policy when bottom-up policy would not work fast enough for society to accept the pain that it was facing. But for Keynes, the Depression was a one-off problem, not a general rule, and his support for government action in the Depression did not signal support for the top-down activist policy of functional finance that came to be associated with “Keynesian policy”. Hayek had a different sensibility. Hayek focused more on the need for rules and supported a more passive bottom-up policy, where government focused on creating the constitutional rules and avoided governmental intervention into existing institutions whenever possible. 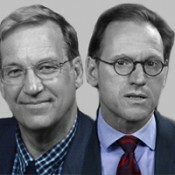 Both accepted the basic argument for bottom-up policy and against direct governmental control except as a last resort. They just differed in their judgments when the last resort was. Consider Keynes’s letter to Hayek congratulating him on the Road to Serfdom, Hayek’s popular book against socialism and top-down government planning. Keynes writes that it “was a grand book” and that “morally and philosophically I find myself in agreement with virtually the whole of it: and not only in agreement with it, but in deeply moved agreement.” Many people who see themselves as Keynesians today see Keynes’s views as the antithesis to Hayek. They are wrong. Having stated that he agrees with Hayek’s morally and philosophically, Keynes then expressed his preference for type of laissez-faire activism, writing “What we need therefore, in my opinion, is not a change in our economic programmes, which would only lead in practice to disillusion with the results of your philosophy; but perhaps even the contrary, namely, an enlargement of them. Your greatest danger is the probable practical failure of the application of your philosophy in the United States.” He continued with the activist argument for bottom-up government action, writing, “I should… conclude rather differently. I should not say that what we want is no planning, or even less planning, indeed I should say we almost certainly want more. But the planning should take place in a community in which as many people as possible, both leaders and followers wholly share your own moral position.” In other words the planning would involve plans about how to design the system to minimize government intervention into the market, but still achieve socially desirable ends. Here Keynes is essentially arguing for bottom-up ecostructure policy—with government recognizing its inability to control and focusing on creating an ecostructure that minimizes the direct role for government. Hayek felt that the problems facing capitalist countries at the time were not as severe as Keynes saw them, and believed that the type of policies that Keynes was supporting would lead to much more government involvement than Keynes thought it would. Thus, Hayek strongly opposed them. So Keynes and Hayek had major policy differences, but those differences were not about economic science, or about the desirability of the bottom-up approach. Both agreed on those. Their differences were more about pragmatic policy problems of how to deal with the Depression. They differed on tactics and not on goals. In turn, Hayek always understood the need for government’s role in creating an appropriate ecostructure for the economy. While early on in his writing, he didn’t emphasize it, perhaps because he felt that it was part of all economists’ understanding, he devoted his later writings to issues of constitutional law and less to economics. At the University of Chicago, he led an effort to plan for an institutional structure that would minimize government involvement, recognizing that this meant government planning. But he wanted planning that would lead to creating an ecostructure that would give as strong a role to bottom-up policy as possible. We think Keynes and Hayek were focused on the right metapolicy, and the most productive debate would not focus on planning or not planning, or whether the government should control the economy or not. The most productive debate would focus on how the inevitable influence that the government has on the ecostructure will best achieve the ends society wants. It is a much subtler debate than is allowed by standard policy frame. Issues about morality, the market, and the constitutional order should have been central to the policy debate about macroeconomics. They weren’t. The standard policy frame eliminated them from discussion, causing a chasm in the policy debate in which the common framework shared by Keynes and Hayek disappeared. Market fundamentalists incorrectly were portrayed as heartless and uncaring about the poor by followers of Keynes. Keynesians were incorrectly portrayed as unthinking supporters of big government by followers of Hayek. Neither portrayal captured the subtlety of Hayek’s and Keynes’ position. Unfortunately, over time but the characterizations of the positions became the reality, and the nuanced understanding of both Keynes and Hayek was squeezed out as their ideas were forced into the inadequate standard policy framework. While the relation in the complexity frame between bottom-up solutions and top-down interventions seems to mirror the distinction between the market fundamentalist solution and the control solution, in actuality it is a very different polarity. Keynes and Hayek understood this, but many of those who followed them did not. The development of complexity science allows us to revisit their thoughts and add precision. They were both supporters of bottom-up solutions whenever possible. That’s what Keynes meant when he said that the world should be populated by those who share Hayek’s moral position. That moral position sees government power as corrupting; it allows the politically powerful to design the rules to benefit themselves and solidify their power and their views. These views are based on history; the complexity frame accepts that any government action will have problems. Where Keynes and Hayek differed was in their reading of how successful government might be in providing useful bottom-up guidance. Activist laissez-faire policy supporters see it possible for government to play a useful positive role in trying to influence what emerges, whereas passive laissez-faire policy supporters see government attempts to guide most likely leading to worse solutions than would happen without government guidance. Both of these are reasonable positions that social theory does not resolve. What makes policy so complicated in the complexity frame is that the specific goals of policy are not given; they develop endogenously from the bottom up, and cannot be fully specified a priori. The specific goals of policy cannot be known for sure by anyone, including government. Individuals can know their goals for society, but society’s goals are the blending of all individual’s goals. The specific social goals of a society emerge as the system evolves. In the complexity frame, an important goal of government is to create an environment within which people reflect on their goals for society, so that people’s true social goals can emerge, not to try to impose any specific goals upon people. In our shared space traffic example, the emergent goals are straightforward, namely getting across the intersection speedily and safely. In most social situations, it is less clear and policy makers end up being tempted to make highly simplified assumptions about what drives people and what their goals are. In a bottom-up policy, the social goal emerges from the process. People are free to choose both their individual and collective goals, and are also free to choose how to achieve those goals. Once you realize these goals involve coordination around a common good and collective action, policy gets more problematic. As an example, take the abundance of food in the world and our apparent inability to feed everyone, either through the market or by government control. Leaving common goods problems to “society”, where society involves a variety of polycentric groups that are alternatives to the market or to the government, may be one option, and in our view an attractive one. But this can only be tried if one has an environment within which polycentric groups are encouraged. Currently such effective collective groups with social goals are far less numerous than they would be in a bottom-up friendly system; the ecosystem we have evolved has not been friendly to them. Thus, supporting complexity solutions may involve supporting an ecostructure policy designed to encourage the development of these alternative polycentric groups. Complexity policy involves encouraging the development of an institutional environment that is friendly to bottom-up policy solutions so that they can evolve and develop. It opposes traditional top-down control policy for the same reason that market fundamentalists do—because government is not very good at solving social problems, and top-down government imposed solutions tend to undermine the development of bottom-up solutions, which can take time to develop. Instead complexity policy supports a policy that treats government and private enterprise as partners from which new blended institutional forms may evolve. Adapted from Complexity and the Art of Public Policy: Solving Society’s Problems from the Bottom Up by David Colander & Roland Kupers, Princeton University Press. I am a descendent of the famous I Pencil, the author of a much-revered genealogy that serves as the keystone for market fundamentalists. With the development of new technology, I’m nowhere near as important a writer as was I Pencil, but I’m still out there scratching for a living. Unfortunately for my prodigy, our future isn’t bright. Today, most people simply hit a keyboard to write, and no longer associate writing with the Pencil family. Nonetheless, I still believe that I have an important story to tell. What made I Pencil’s story so compelling was how, when one looked carefully at the seemingly simple combination of wood, lacquer, printed label, graphite, metal, glue, and eraser that made him up, what one saw was actually a symphony of subtlety, all carried out without a conductor! Even though each person involved only knew a small part of the process, the invisible hand of the market combined the activities of hundreds of thousands of people into a magnificent process that created him, and, in even more complex ways, millions of products much more complicated than him. His story celebrated the creative energies of people that underlie our society’s wealth and happiness. I Pencil wrote his genealogy to pass on an important lesson that built on G. K. Chesterton’s observation that “We are perishing for want of wonder, not for want of wonders.” The lesson was how the seemingly mundane can be, and often is, a vision of wonder. In his masterful genealogy, I Pencil pointed out that a simple pencil like him merited wonder because, despite his simplicity, no one comes close to fully fathoming the complexity which brought him into being. My updated genealogy follows I Pencil’s relatively closely. There’s the same cutting of a cedar tree, the same mixing of the graphite and clay for my core, the same shipping, the same… While the general story remains the same, a few specifics have changed, some mundane, some more important. For example, I Pencil’s family tree started in Northern California; mine starts in Malaysia, in part because of US government restrictions requiring that logging be done in a sustainable manner. Another minor change is that I pencil had six coats of lacquer, whereas I only have two. But lest you think that I’m not as good as he in this respect, let me point out that my paint job is as good or better than his, because I’m painted with a new ultraviolet painting system that makes two coats of paint as good as six were before. Despite our differences, our general story is the same. We both derive our existence from the death of a tree, and the mining and manufacturing of the other raw materials that make us up. Our shared genealogy includes all the individuals who made us, as well as those who made the tools and machines that made us, as well as those who made the tools and machines who made the tools and machines who made us, as well as…. You get the picture—our genealogy is an infinite regress that includes multitudes. If anything, my complexity is even greater than I Pencil’s because today there are many fewer people involved in my direct production. The immediate direct producers have so declined in number that today it looks as if I’m produced almost completely by machines. But don’t be fooled—ultimately the creativity of real people is behind those machines, and the miracle of my production is related to the creativity of those people. So my added complexity simply strengthens his lesson. Although I am still called a lead pencil, I, like I Pencil, don’t have lead at the center—I have a mixture of graphite and clay covered with paraffin as he did. But I did have lead in me—just not in my core—it was in the lacquer that surrounds me. This lead raises a not so pretty part in my family’s genealogy. You see, a while back, scientists discovered that the lead in the lacquer on I Pencil could cause hearing problems, headaches, and nerve damage to people who were exposed to it. Lead was especially harmful to children who chewed on the ends of the pencil, which kids had a tendency to do. So, unbeknownst to I Pencil, our Pencil family was harming little kids. My entire family felt awful about this and we worked hard to see that it wouldn’t happen again. Here’s how the problem was resolved. After learning about the lead problem the Consumer Products Safety Commission established lead content standards so that the lacquers used on consumer goods did not exceed 0.06% by weight. Anyone who violates that is subject to penalties and liability issues. It wasn’t only the government involved in dealing with the lead problem. The entire pencil industry association contributed. It developed testing and certification procedures to insure that I, and my siblings, meet the government-set standard for lead and other toxins, and I am proud to say that I do. That’s why I have an ASTM D4236 stamped on me. It gives a visual sign that I’m safe, even for those kids who chew me—although chewing pencils is still a bad idea. It’s a voluntary certification program, and I’m glad my family joined. The “lead problem” raises another part of our family’s genealogy story that I Pencil didn’t discuss. This part of the story expands my genealogy enormously, and conveys an even more complex story of my production than did I Pencil’s. You see I Pencil focused his story on those people who had direct production descendants in production, and pointed out how some were far removed from direct production—the people who made the machines who made the machines, etc. What he didn’t talk about were the indirect producers of his products. These indirect producers provide and maintain the institutional structure that makes it possible for the direct producers to do their job. The reason these indirect producers are important is that modern production involves enormous amounts of indirect coordination just to maintain the institutional structure. If the indirect producers don’t succeed in providing an acceptable institutional context, the system will fall into chaos for lack of any coordination, or become so sclerosed that they prevent new approaches from changing my production process. Thus, while hundreds of thousands of different people have to coordinate their direct actions to produce a pencil, hundreds of thousands more contribute to production by providing support to insure that those involved in the production can go about their job. For example, for me to be produced, someone had to protect the property rights upon which the market is based, someone had to guarantee that the contracts between individuals would be enforced, and someone had to be on the lookout for lead, for the safety of machines, and similar problems, which if not addressed might well lead a society to undermine the institutional structure that produced me. Government is one of the important organizations that creative people have set up through which rules are established and maintained. It is both the referee, and the rules committee. This means that in our country it is government that is ultimately responsible for enforcing property rights, establishing standards which society believes are acceptable, and providing a court system to adjudicate differences of opinion, as there inevitably will be. Internationally, we have no global government; instead we have a wide variety of agreements that people have negotiated through governments to allow international coordination to occur. Without this coordination, the complex production procedures that I depend on could not take place. The invisible hand is guided by millions of minute visible hands all working to keep the invisible hand moving in the right direction. The reality is that it takes not only numerous private individuals to produce a pencil; it takes an entire system of which government and other coordinating institutions are a part. So, to tell a complete story of my production, I need to include government, and the many other collective groups, such as the Pencils Producers Association to which my family belongs, that assist government in its coordination role. Government plays a role in my genealogy not only in establishing rules and restrictions. For example, it has built and maintains the road transportation system, and it contributes to the growth in technology. In that later role, not only has government been instrumental to my production; it has contributed to the demise of my line. It was a government agency DARPA (Defense Advanced Research Project Agency) that provided seed funding and initially nurtured the development of the Internet, which is making pencils like me obsolete. To say that government is in my genealogy is not to say that it directly controls my production. In fact, one of its primarily roles is to prevent anyone, including itself, from trying to control my production. I suspect that the reason I Pencil downplayed government’s role is that he was afraid its inclusion would lead some people to expand the role of government to solve the inevitable problems that come about in coordinating production. Doing so would create the sclerosis I mentioned above. You see, government is so powerful—it is the only organization to which we’ve given the power to forcibly collect taxes, and to force people to do certain things—that we have to be really careful about what we allow it to do. There are two ways to coordinate—from the top-down, with an established institution such as government doing the coordination, and from the bottom-up, letting new organizations develop to solve collective problems that develop as multiple people interact. The problem with having the government solve coordination problems is that it often does so in ways that undermine the creative energies of individuals. Instead of seeing people as having the ability to solve problems on their own, established institutions, such as governments may try to solve the problems for them and in the process often create barriers to creativity. Established institutions tend to protect themselves and don’t give new ones a chance to develop. But because technology is continually changing, the corresponding institutions should change as well. This creates institutional tension—how do we replace the old institutional structure that has developed with the new one, without having the system devolve into chaos? There is no easy way. Coordinating one’s view with a single other person is difficult; coordinating with millions of others is next to impossible. But it is just this impossible task that our society has assigned to government. The real world result of this unrealistic requirement is inevitably a mess that leaves any reasonable pencil frustrated at the stupidity and craziness of it all. The problem is that to make any coordination work, one must inevitably limit one’s freedom and sometimes accept rules that one dislikes. The only way to come to an agreement is to meet others part way. Unfortunately, it is a compromise that we have to live with because production requires an ongoing system that has rules. Notice the paradox that government presents. The large firms and complex machinery that make me need a stable environment that only can come about through compromise and acceptance by all of certain rules of conduct. If the people in a society don’t accept compromise, the miracle of production will be either impossible, or much more difficult and costly. That’s why stable government is a requirement of firms before they will shift production to a particular country. This is the paradox of production—that the freedom that production gives us is built on our accepting limitations on that freedom to achieve the needed cooperation of others. Thus, whereas I Pencil didn’t include government in his genealogy, I do include it in mine because without it, I wouldn’t be here, and he wouldn’t have either. This recognition of my “closet” relatives changes the lesson to be drawn from our shared genealogy. Instead of the need to free all creative energies by leaving everything to the market, which was the lesson I Pencil drew, the appropriate lesson to draw from our common genealogy is that all creative energies must be left as free as possible, yet protected within a careful framework of structural rules. In other words, all creative energies, both those of firms and those of other institutions like government, must work together to develop a framework that allows the most freedom to production and society. We need some amount of government to enforce the rules, because without this protection the market will not fully develop. The miracle of our human nature at its current state of evolution is that we have the ability, through bottom-up coordination, to create an institutional structure which encourages creative energies and production to flourish. It's Time to Replace the Economics of "Me" with the Economics of "We"
This entry was posted in Markets and tagged Complexity, Hayek, Keynes. Bookmark the permalink. David Colander is professor of economics at Middlebury College. Roland Kupers is an associate fellow in the Smith School of Enterprise and the Environment at the University of Oxford. Both are authors of Complexity and the Art of Public Policy.